Teaching has always been an integral part of my working life as an artist. In my career, I have worked with all ages - preschool to seniors, in a variety of settings. 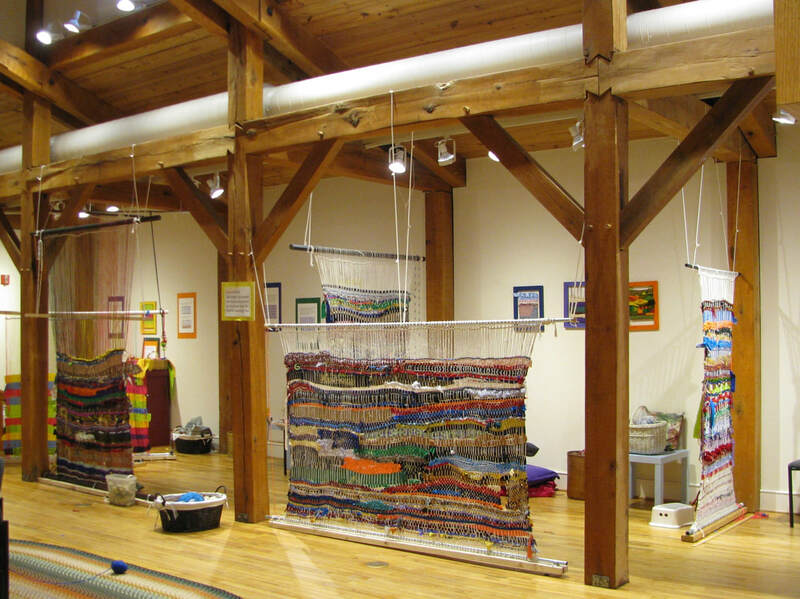 I have conducted workshops, classes, residencies, professional development and community arts projects. Each learning experience is designed to best suit the needs and budget of the particular group. 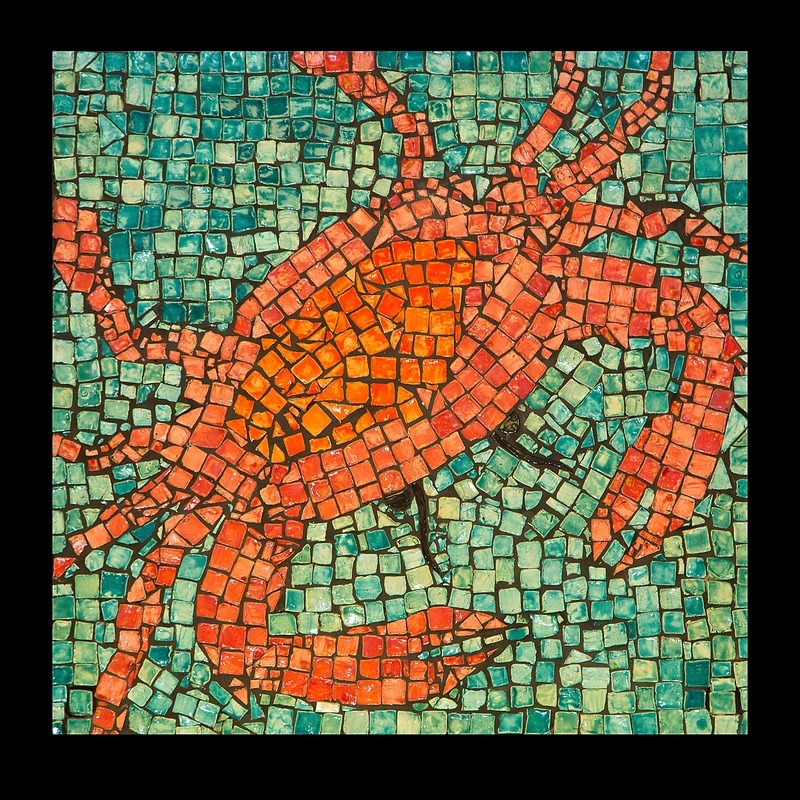 I have been part of Maryland's Arts In Education Program as an Artist-In-Residence since 2002. In my teaching, I am very involved in arts integration. Arts integration is a natural fit with my work. Ceramics and embroidery have connections across cultures and throughout history. There are scientific connections in the processes of ceramics and of plant dyes for fabrics. I work in tandem with teachers to guide students through the design and execution of a project. We can design an installation or create individualprojects. 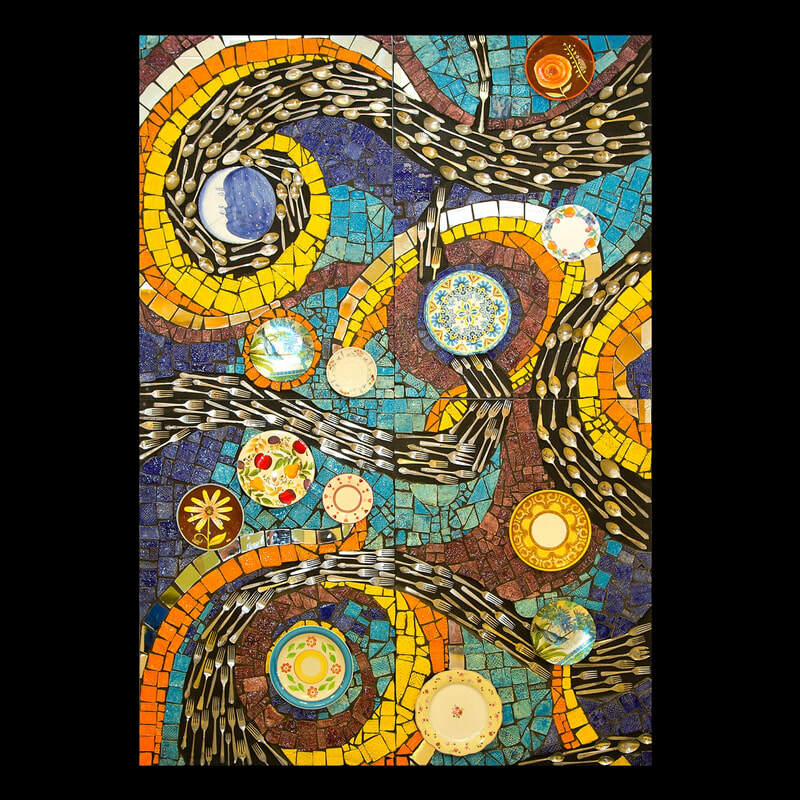 The project can focus on ceramic relief tiles, embroidery, or a combination of these media. If you are interested in a residency for your school, please contact Young Audiences of Maryland for booking information. Please also check MSAC and your county arts council for grant information. My residency work includes permanent and temporary installations. I also work with students to create individual artworks. The project examples here represent a selection of different media as well as school and community work. Below you can browse some representative examples. This project was created by 5th grade students at North Chevy Chase Elementary School. The piece was inspired by their studies of the solar system and the poetry of Langston Hughes. The quote embroidered on the hanging is the last line from the poem "As I Grew Older". Students drew their face in profile, as a sun. They embroidered images inside the profile to symbolize their own dreams. 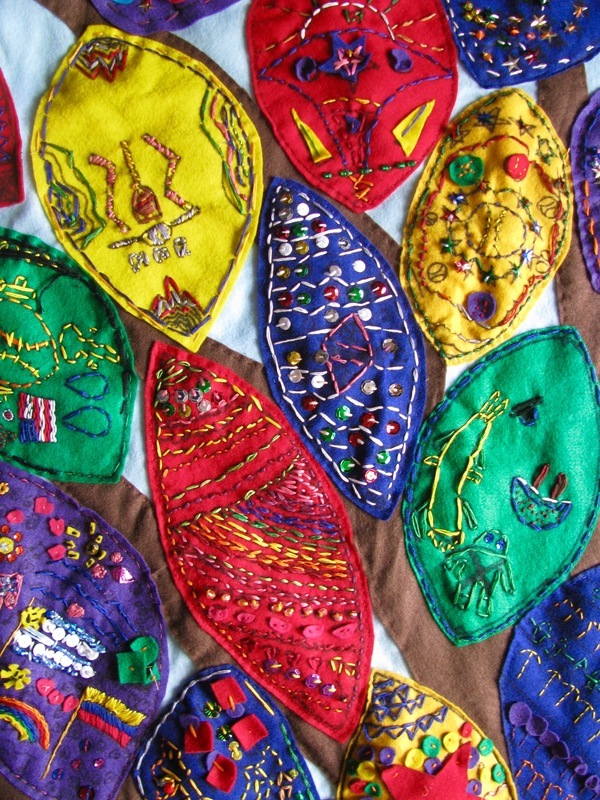 Second graders embroidered these leaves for a school community 'family tree'. 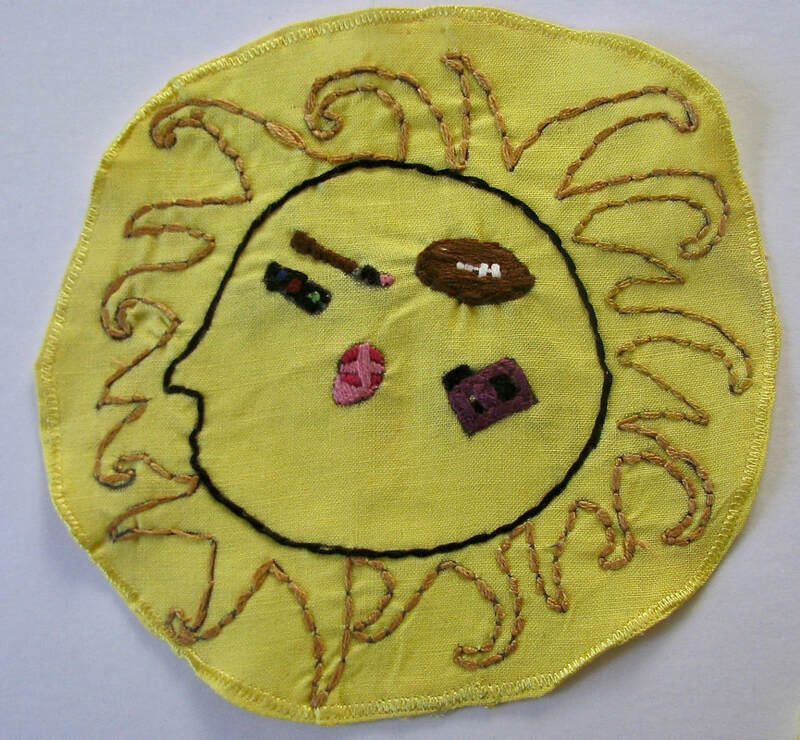 Students learned about embroidery styles from different cultures represented in the school community. Students examined what the various styles had in common and what made each unique. Each student then used line, shape and color to create their own leaf for the tree. This installation by Ilchester Elementary School students integrated science and art objectives. 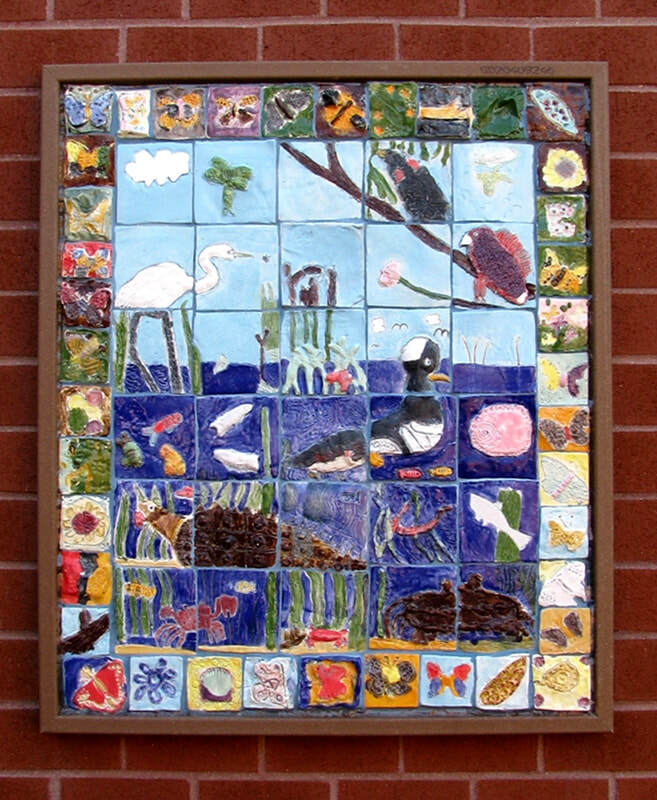 The students created these ceramic relief tile murals to illustrate the biological diversity of Chesapeake Bay habitats. Stream, river, marsh, and bay habitats are displayed in a courtyard that also contains a garden planted with species of flowers native to Maryland. 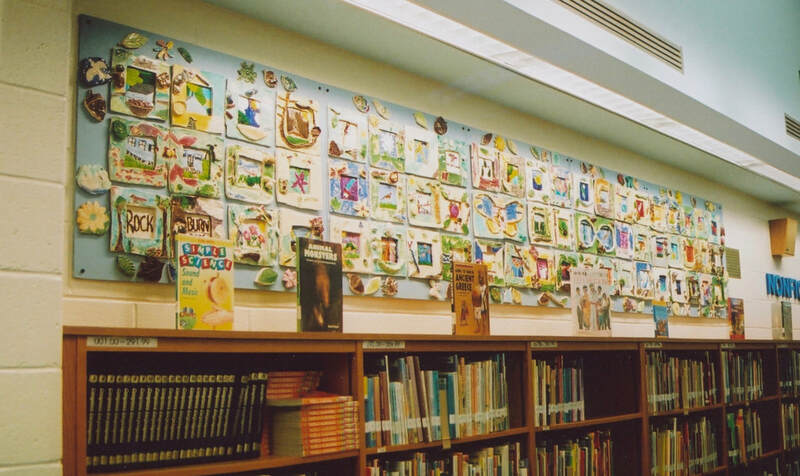 When Bellows Spring Elementary School underwent a renovation several years ago, a wall of windows in the cafeteria was blocked in, leaving blank niches in this large wall. 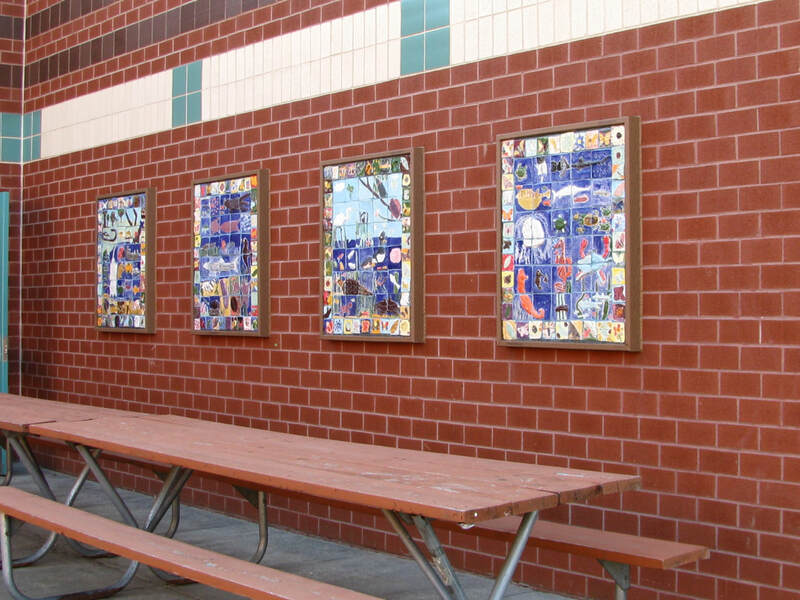 Art teacher Rebecca Rubock wanted to do something creative with the space, a project that would connect with the entire school community. Since eating a meal is a communal activity we can all relate to, she had students vote of their favorite foods. 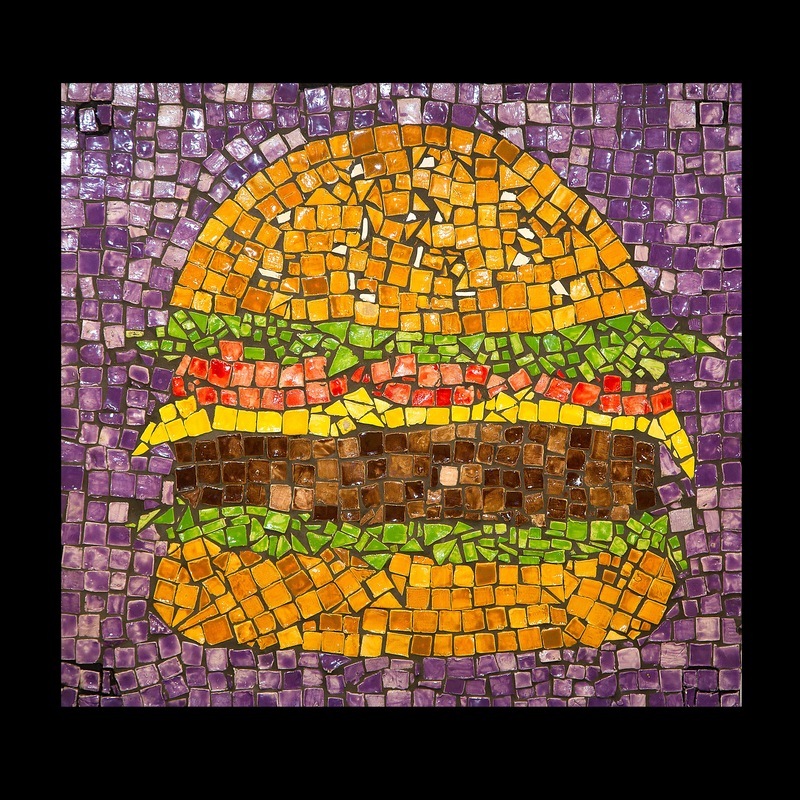 This series of mosaics were created by the students to represent their favorite dishes. 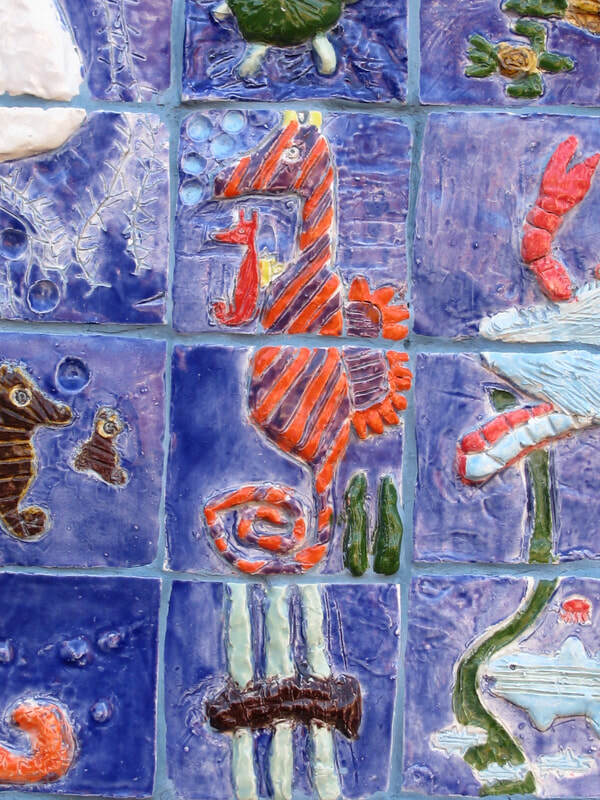 Students in the lower grades made and glazed the tiles. 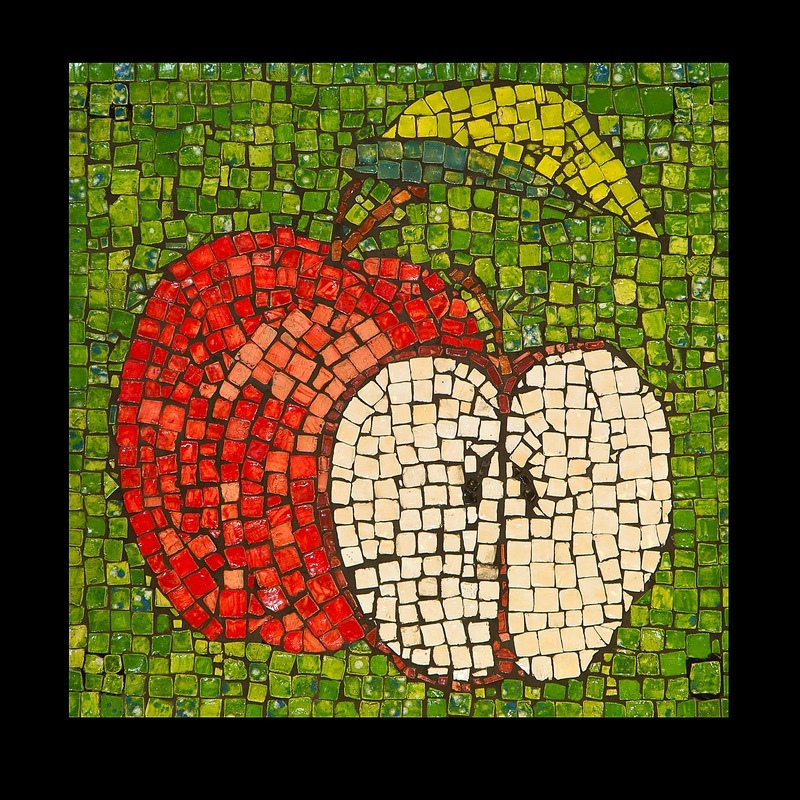 Students in the upper grades put the mosaics together and did the grouting. Parents and staff members helped. The entire process took months to complete. It was truly a project created by the entire school community. Students at Rockburn Elementary created this mixed media installation. The work was installed in the school library. Students created embroideries in ceramic frames depicting plants and animals in the neighboring Rockburn Park. ​You have probably heard the expression “the social fabric of the community” but did you ever think about it in literal terms? 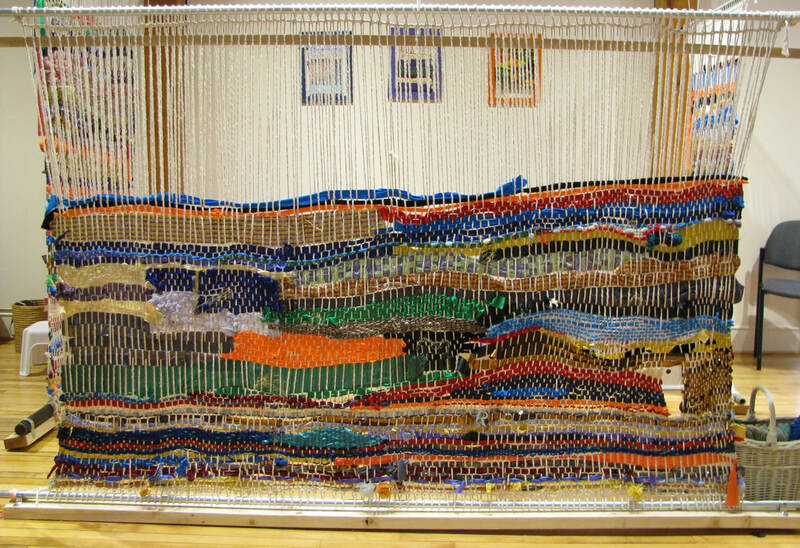 The Big Weave, an interactive community-created work of art, was a metaphor for bringing together diverse elements of the Sandy Spring neighborhood and weaving them together to create a single fabric. 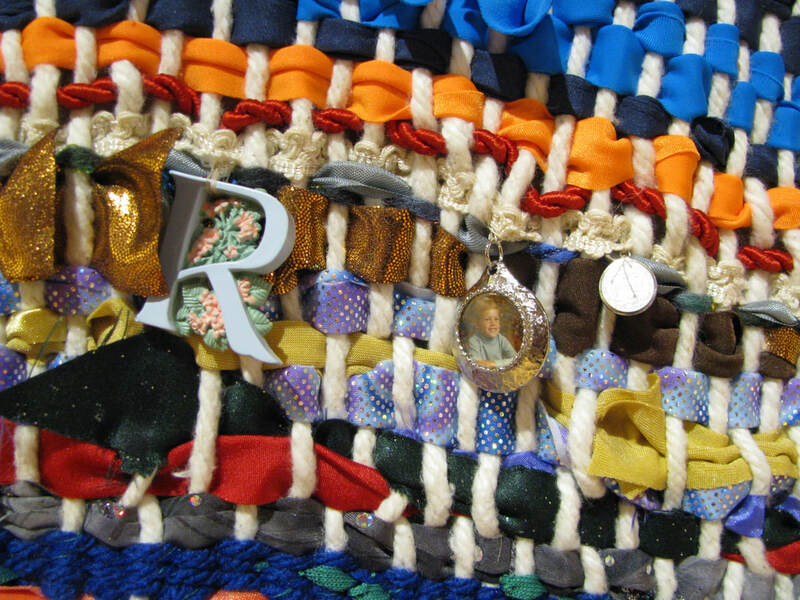 If you consider all the individual members of a community as threads, the “social fabric” is made by having those members interact, thus weaving the threads together. I was tasked with designing a structure that would allow for the participation of anyone with a desire to weave. The other requirement was that the installation would allow for the incorporation of many types of materials. 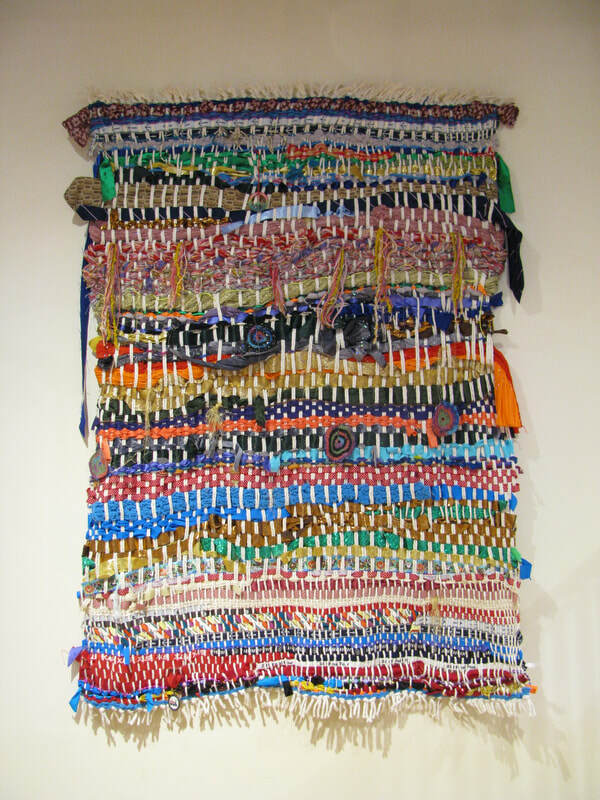 Traditional weaving materials like yarn and strips of fabric were provided, but also nontraditional materials like mardi gras beads. People contributed mementos: ties, lanyards, t-shirts, even a photograph. We had weavers from pre-school to elders. Weavers came from assorted school groups, religious groups, special interest clubs, weavers from all sectors of the Sandy Spring community. From many diverse threads comes one vibrant, beautiful community.